Welcome to the Mailbag section! Leave a hockey comment or question below and I’ll get back to you with an answer as quick as possible! Hi Murph, love your site. Any chance Bruins will repeat this year? Thanks Nick. The Stanley Cup is probably the toughest trophy in all of sports to defend! The Bruins had a magical ride last year – with Tim Thomas playing like a man possessed. He would have to repeat that incredible season for the Bruins to win it all again, and I think it’s probably too much to ask from Thomas. Anything’s possible, but I would have to say no to a repeat. Hey Murph….. Love the new site!! What are your predictions for the Habs-Bruins rivalry tonight?! I think my Habs are having some trouble, but the Bruins are looking pretty good. Thanks Sue. I think this home-and-home series is just what both teams need! Both sides will be up for the rivalry and it will be a physical few games. If one side can win both matchups it will help shake off an unimpressive start. Both teams have been slow out of the gate and these two tilts could be a turning point. I think the Bruins will be tough at home for the Habs tonight. 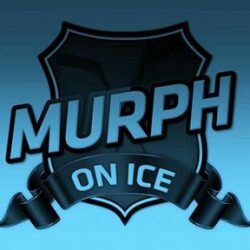 Murph, a Stanley Cup hangover is expected, but how long do you think it will take the B’s to right the ship? Also, who do you think is the brightest star of this year’s already impressive rookie class? Thanks for the questions Smoothy. Indeed the B’s are having some trouble out of the gate. I half expected it, but I also thought that with most of their core intact they would have had a better start. I think this home-and-home series with the Habs will be a bit of an emotional wake-up for the team. I expect that if they don’t start putting some meaningful wins together their could be changes. 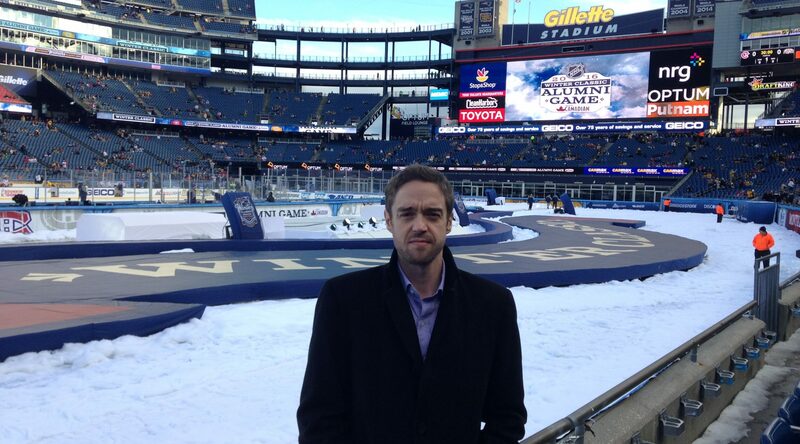 My sources in Beantown tell me that GM Chiarelli had been working the phones on some preliminary ‘smaller’ deals. Time will tell, but I think that it needs to turn Saturday in Montreal. Great rookies this year! Ryan Nugent-Hopkins has impressed me in Edmonton. Some of his 5 goals have been beauties! Also impressed with my fellow Newfoundlander – Luke Adam – in Buffalo! Those two have stood out for me. great interview with Giants GM! will there be more UK coverage? Glad you enjoyed the interview with Todd Kelman. He was a great player, and seems to be enjoying his time as the GM in Belfast. There will be plenty more Elite League features and coverage here on the site. I am hoping to be in Cardiff in early December to cover a Devils and Giants game. Keep an eye out for the reports and interviews from that trip. There was a lot of talk about the Shanahan’s heavy hand during the pre-season, leading into the season openers. Do you think his early hits with the suspensions had the desired impact? I’m happy to see some explanation following questionable hits/calls. There has been a lack of consistency and explanation in multiple-game suspensions, I think Shanahan’s onto something. Your thoughts? Brendan Shanahan is indeed on to something. He has made the disciplinary hearings and processes a bit more transparent for the League, players and even fans. In years past you would wonder why a player got a 2-game suspension, and a week later another guy would get a 5-gamer for a similar hit. Shanny has now made his decisions availble on video, and he’s quite clear on why he has handed down a certain ruling. My sources around the NHL tell me that the players and clubs are in favour of Shanny’s new approach. Thanks for the feedback. You lead right into my other thoughts, re: how the players/coaches felt about Shanny’s approach. Its good to hear there is a positive vibe around the league. Being at a game & watching on TV don’t even compair. I believe you’ve had an oportunity to see a couple of live games. As far as you can tell, has any intensity been lost in the game as players try to feel out what is & isn’t an exceptable hit? I was at both Ranger games in Stockholm in early October, and I noticed no real dip in intensity from the Kings, Ducks and Rangers. There were early season jitters and maybe things weren’t as smooth as mid-season form, but the intensity was there! Hockey is so fast that things are done and decided in the blink of an eye. Shanny’s new approach will give players something to think about and be clearer on calls, but I don’t think intensity will suffer. Do you think that this is the year for Ovechkin and the Caps to go far in the playoffs? Thanks for the question. The Caps have certainly started well (7-1), and served notice that they mean business! I think that Ovechkin and company are learning what it takes to be a good playoff team the last few years. Sometimes it takes a few failures to learn those lessons. The Caps have had some bad results the past few playoffs, so I think this is a make or break year for them. I think they will go far this year if Tomas Vokoun stays healthy between the pipes. With so many Pens “showing up” for each game this year and doing so well because of it (even with Crosby and Malkin out), how do you think they’ll fare when Crosby’s back in the lineup? It’s good to see Malkin putting up the numbers at least, but all he has to do now, is stop taking unnecessary penalties that almost always lead to a goal against! Thanks for the question! I think that the Pens have done what they did last year when Sid first got hurt – they have just put their heads down and gone to work. It’s a testament to Head Coach Dan Bylsma and the staff there in Pittsburgh, that without the best player in the world, they are still bringing it night in and night out. The Pens lead the entire league with 18 points at the moment, and will only get better when Crosby is back! He will make it harder for opposition to shut down just one aspect of the Pittsburgh attack. I also agree with you about Malkin – he needs to be smarter. He was in the box for 2 Leafs PP goals Saturday night that killed the Pens. Geno has to play with edge, but he has to pick his spots. Also, the B’s just went the entire month of November without a loss in regulation. Your thoughts? Timmy’s mask was great for Movember! He seems to have a knack for rolling out cool masks – from his own syle of different shaped helmet and the way he changed the eye set-up with his mask, to his all white number from last season – he has some style! The Movember mask was pure genius (love the bear’s stache), and helped raise even more awareness for prostate cancer, and show Tim’s charitable side with his foundation (check it out as he’s raffling the mask off for the foundation). As far as the B’s month (12-0-1) goes – it was unreal. It’s the first time they went a month without a regulation loss since January 1969. I guess the Stanley Cup hangover is well and truly in the past! Hi Murph any plan about coming to Glasgow to cover a CLAN game. Hi Stevie – thanks for the message. I have indeed been discussing the possibility of getting up your way. I would love to talk to Drew Bannister about his experience in the Elite League after spending all those years in the NHL. I think it would make a great story. If I get up that way I’ll be sure to let you know! Murph just read you blog A Devil Of A Time. Don’t forget there are four Scottish Teams that need a wee bit of coverage. Hi Stevie, thanks for reading the blog, and thanks for the message. I am looking forward to the New Year and travelling to more EIHL cities to cover more teams. The Scottish clubs are on the radar – and as I mentioned before, I would love to do something on the Clan’s player-coach Drew Bannister. Keep an eye on the website for more Elite League content in 2012. Hi Murph what do you think of Torres hit and the suspension that followed. Do you thinkit is a sign of things to come from the NHL. Thanks for the question. I agree that Torres deserved the suspension – his hit on Hossa was a demolition job. I’m not sure I agree with 25 games though. I would have to ask the NHL why a super-star like Shea Weber gets nothing for his assault on Zetterberg – but Torres gets 25 games. Until the NHL throws the book at all players equally, then I think it’s all a bit backward and directionless. The league missed a chance to send a message with Weber – but instead are now going overboard on a fringe player. Yip it looks like a bit of double standards. it has got to be the same for all. Hi Murph. Mike Danton could light up the Elite League when he takes to the ice for Coventry. (thought he was going to sign for Braehead at one point). Who would you compare him with in the league from last season. Hi Stevie – thanks for the message. Danton could indeed be a great story on the ice for Coventry. He has a lot of grit and toughness – but I don’t think Paul Thompson is bringing him in to be just a tough player. I think he will be a well-rounded point producer playing in all situations – but still adding a physical element every game. He has some edge like an Adam Keefe – but much more offensive abilities and overall skill. He’ll be a fan favourite for the Blaze. Hi Murph- Just reading about the NHL lock out. Do you think that’s it for the season or could they get back round the table. Also which side do you think has the most to lose, and ultimately who do you think is to blame. Thanks for the questions. As far as the length of the lockout goes, I don’t think the owners or the players union can afford to lose the entire campaign. I am hearing from a source close to it all in North America that the owners and league really want to be back playing before the Winter Classic game as that is a huge revenue source. I have also heard that the NHL is prepared to be out until Christmas. The players want to play now as the new CBA is negotiated. The owners have a lot to lose as they are starting to look like the villains here. I don’t know if either side is to ‘blame’, but the players are willing to play during negotiaitions – the owners and Bettman are not willing to do that. Murph I would like to say how much Clan fans have enjoyed watching Drew Miller playing for our club. Drew has been a true gentleman when it come to taking time for the fans. Nothing is too much trouble for him, there is not a Clan fan who has a bad word about the guy. I have also enjoyed seeing Drew Miller play this season. He was good when I saw him in Coventry earlier this season. Matt Beleskey was also a joy to watch in my opinion. I have nothing bad to say about my dealings with NHL guys over the years – so I’m glad to hear that Clan fans have enjoyed Miller being part of the club and community. We have all been lucky to see NHL players on UK ice, and who knows, if the lockout continues for another few weeks we may see some guys back over here. Great website you have going on here, nice to see some comprehensive cover on the EIHL. Would you be able to drop me an e-mail please about a fanzine (both online and magazine based) that I’m hoping to set up in time for next season? I have been impressed with the signings of some of the big EIHL teams like Nottingham, Sheffield etc this close season. Cardiff have really recruited well so far. Who have stood out for you with their signings so far? Do you think Belfast have been slow to bring in some fresh imports rather than just the tried and tested like Keefe, Mason and Saurette? Also what should Giants fans expectations be for the team under Paul Adey? I really like what Cardiff has done this summer. I think LaCosta will be one of the best signings in the entire EIHL. I also like them bringing in Matthew Myers. This is a team that Gerad Adams has built to really go after trophies, so this will be a fun Devils team to watch this season. Belfast will be fine – they have their core back – and Stephen Murphy will have a big year in net. I think fans can expect that the Giants will be a contending club under Paul Adey. What was you take on the Nickerson, Frank incident on Saturday. And the subsequent ban handed out to Nickerson.